Web Hosting – Know what it is and what comes under? First of all, let us make you understand what is web hosting? Showcasing web pages on your computer screen is not an easy work to do it needs lots of contributed and stylish efforts, only then any catchy and detailed website arrived on your screen. The very first stage in line is the domain. 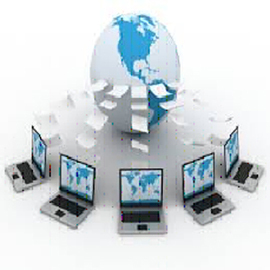 First, the Web Hosting Company will provide you the domain (web address) of your choice. Then, it will assign high-performance server for you just to land your website on the World Wide Web. Please check their commitment before choosing any company that what capacity server they will provide you, the best landing server means fast data exchange and quick opening of any web page of the website. After providing the space and storage the Website Hosting services agency assigns your project to their best web developer to get it done in given time period. Here the suggestion is to check the outlay of the design and confirm yourself before website will get completed. Next stages include designing of the website and removing bug if any found while testing. And finally, your website is ready to launch. How to find web hosting company with a difference? If you are in any business, then your existence on the web is the uttermost requirement of the time. To make your introduction detailed and aspirant you need someone who has the enthusiasm of pushing limits of work culture to provide a unique presentation of your profile just like W3Idea is doing since years. We are trying hard day and night for serving their customers with out of the box layouts in every project. We are now known for serving the most innovative web hosting services Thane as well in Mumbai even you can get guidance from them all around the globe as well. But before choosing any company for web hosting, look out their dedication to achieving best all the time and also their esteemed client list as well. Do not judge any company through their showy and attractive infrastructure instead check their previous work to know the creativity of the company. Make sure the work they have shown to you is actually done by him because there is a number of fraud companies are roaming around in internet world that lures customers with fake profiles. You should know that the Web Hosting Web designing and Website maintenance is a different thing so educate yourself what exactly you want from the hosting service company. Before hiring any company, put all money exchange matters on papers and make an agreement for each and every service you are about to hire. Because sometimes hosting company will charge extra money from you for domain and servers. Better is to include all of the charges in your final payout agreement. So the suggestion is to hire W3Idea as they single handily can fulfill all your requirements.